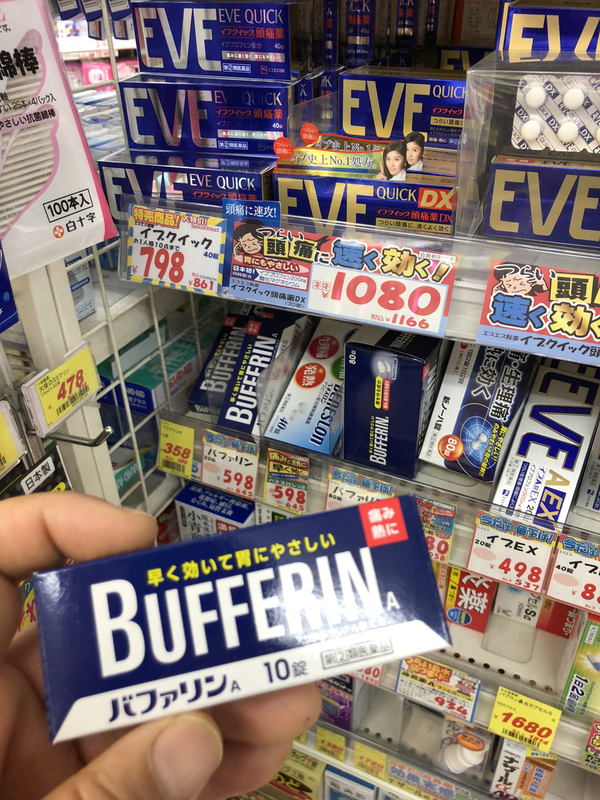 Over The Counter (OTC) pain killers lik BUFFERIN and ASPIRIN are very expensive in Japan and quantity in the box is very small. Like this BUFFERIN 10 Tablets cost around $4.00. If you are traveling to Japan ... You should bring your pain killers.